Dead or Alive 6 is a game I’m unashamedly looking forward to. Following the abysmal showing of Dead or Alive Xtreme 3 (review here), Team Ninja look to be truly focusing on making Dead or Alive 6 the best game they possibly can. This is certainly the impression I got from my hands-on at Gamescom, as well as aspects I covered in my interview with Dead or Alive 6’s director and producer, Yohei Shimbori. Team Ninja are quick to avoid the pitfalls that have plagued other recent fighting games, where there is a huge division of the audience due to locking series veterans behind paywalls. In keeping with this, Team Ninja and publishers Koei Tecmo have revealed three returning fighters to the series as well as a brand new level. Specifically, this level takes place in a wrestling ring with electrified ropes. 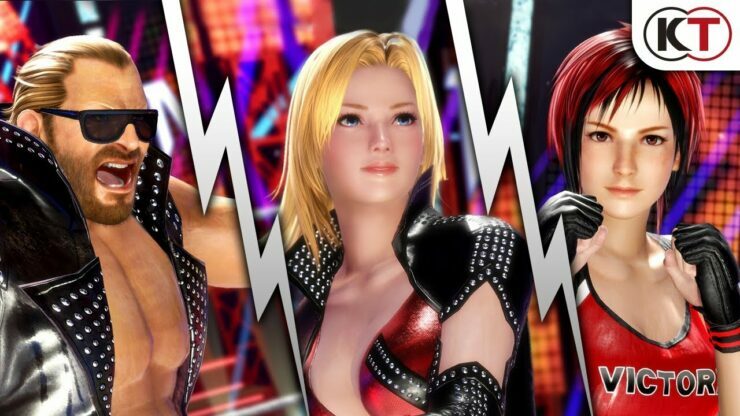 All three characters are instrumental to DEAD OR ALIVE 6’s new wrestling stage “THE MUSCLE.” As an introduction to their new fighting ring, the father-daughter duo of Bass and Tina gather reporters inside an arena to unveil their new professional wrestling organization, also known as The Muscle. Inside the arena stage, not only will the action be fast and fierce, but the ring ropes surge with electrical current while the steel pillars surrounding the squared-circle bellow fire at warry brawlers. As I mentioned in my preview of the game, this is the best the game has ever looked and is considerably easier for a player to get into. Add into this a roster of varied characters and entertaining stages, Dead or Alive 6 is by far my most anticipated fighting game. One thing is certain, you can look forward to some fiery and electric wrestling action when Dead or Alive 6 is released on February the 15th, 2019. This fighters paradise will be available on the PC, PlayStation 4 and Xbox One.